Getting mobile dent removal that you can count on means finding a company that really stands behind their work. From day one at Piedmont Dent Repair in Greenville SC we have stood behind our services and the skilled technicians that we employed. We want to ensure that every mobile dent removal we complete is successful, which is why we guarantee your satisfaction on all of our work. If you are unable to see a difference in your dent, we will perform the repair again for free. Our paintless dent removal system is one of the best in the business and also one of the greatest ways that you can save money on your bodywork. If you have hail damage repair that needs completion, we can make sure that the process is hassle-free. We will perform an assessment to see if your dent would be a good candidate for our paintless service. If we have determined that there is enough of your original finish to work with, we can perform this removal process at a fraction of the cost of traditional bodywork. Paintless dent removal is much faster than traditional bodywork as well. Thanks to our mobile dent removal service, it can be performed at a location of your choice. Contact our service professionals and we can come out to your location to perform the quote and the work right afterwards. We want to make sure that your hail damage removal is taken care of quickly. 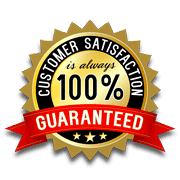 As well as providing quick quotes, a satisfaction guarantee, and flexible service, we take pride in delivering the best value to our customers. The cost of paintless dent removal in Greenville SC is available at industry-leading rates and can be performed in a significantly shorter time than traditional bodywork. If you would like hail damage repair or painless dent repair in Greenville SC, contact the experts today at Piedmont Dent Repair services. We can come out and start your quote immediately.